Here at Scholarship America, we provide advice and resources to students. It’s an opportunity for us to use our more than 50 years of experience to help more young people pay for college, and their success is the mission of our work. At your workplace, employee and family education probably isn’t your core business. But whether you’re with a multinational corporation, a large regional employer or a small business, you definitely have staff members who are concerned about their family’s college education—or their own. Fortunately, there are some things that any company can do to provide scholarship coaching and educational assistance right at work. Here are five places to start. Learn the ropes. The world of scholarships and financial aid can be confusing and daunting, and busy students and working parents may find themselves pressed for time to figure it all out. If someone on your HR or benefits team can spend just an hour a week keeping up on education news, college calendars and major deadlines, they’ll be a fantastic resource for staff questions. StudentAid.gov and FAFSA.gov are excellent government resources, and the College Board’s Big Future website has a ton of action plans and other resources for parents. Use your expertise in your community. If your company encourages employee volunteering, you can make a big difference by donating your expertise to school financial aid nights and events like College Goal Sunday. The latter includes events in some 40 states, during which students and their families can get free, expert advice on everything from assessing colleges to filling out their FAFSA. College Goal Sunday events, most of which are held in February and early March, are volunteer-driven, and looking for people with all sorts of skills to help out. Not a finance expert? Don’t worry—graphic designers, translators and friendly faces at the sign-up table are all needed too. If you do decide to offer an education assistance program, coaching is even more important. Make sure your employees hear about it, early and often, and that the deadlines and criteria are clear. Need help getting started, or wondering how to expand? 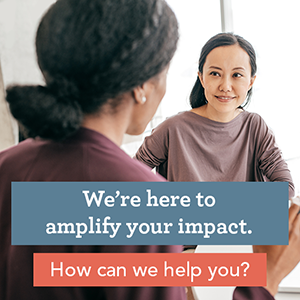 Click below to contact our Scholarship Management Services experts; with nearly 40 years of custom program design experience, we’ll help you make the biggest impact you can.